Raila has been dealt a major blow after dp ruto told him that the government does not recognize planned NASA rally which will be held on Tuesday. He said that elections are over and Kenyans spent almost all of last year politicking and it is time to move on. 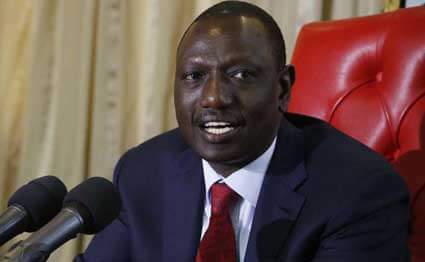 Dp ruto was speaking during a church service where he said its time of development and job creation for millions of youths out there and urged NASA to drop their planned swearing in ceremony. Raila and kalonzo have maintained they will be sworn in on January 30 an event which might change kenyas history.